Home Bikes News Reasons Why Jawa Forty Two Will Likely Be Brand’s Best-Selling Bike! 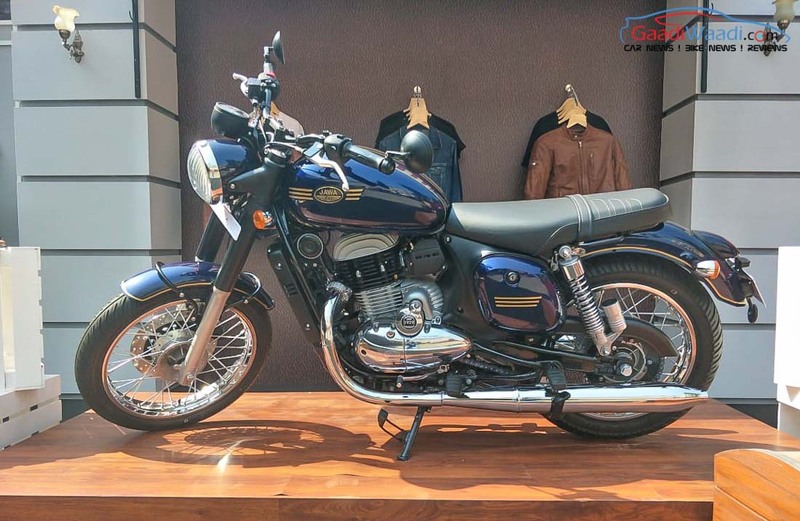 Reasons Why Jawa Forty Two Will Likely Be Brand’s Best-Selling Bike! Jawa introduced three new motorcycles on 15th of November. They already launched the Jawa which is a vintage styled motorcycle which pays homage to the old Jawa motorcycles, the Forty two, on the other hand, is a much more modern looking motorcycle with a retro design theme, lastly the Perak Bobber, is the most expensive motorcycle in their lineup and will be launched towards early 2019. The Jawa officials already announced the prices of the Jawa motorcycles while the Jawa forty-two prices start from Rs. 1.55 Lakhs (ex-showroom). The vintage styled Jawa is priced at Rs. 1. 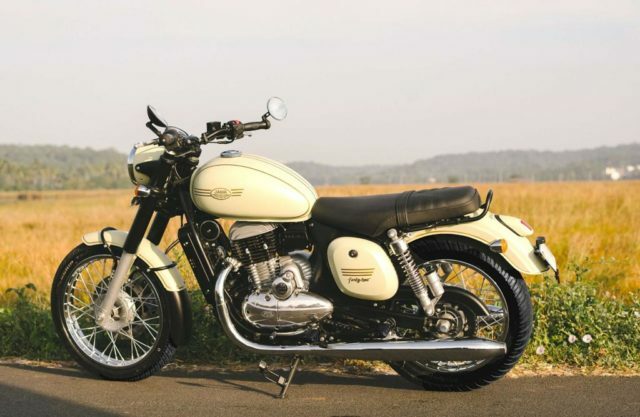 64 Lakhs (ex-showroom) which makes the Forty-two the most affordable motorcycle of the Jawa lineup. For those customers who are unaware of this brand can get a taste of the new motorcycle at an affordable price. The best thing about the Jawa motorcycles is that both the Jawa and the Forty-two are powered by the same 293 cc, single cylinder, liquid cooled unit which produces the same amount of power and torque figures on both these motorcycles. This also means that you don’t have to pay the extra amount to own the vintage looking Jawa if you are looking for more performance. As a matter of fact, both the motorcycles even use the same brake setup as well and also weighs the same. What sets the Forty-two apart from rest of its rivals on road is its Neo-retro design with modern touches. 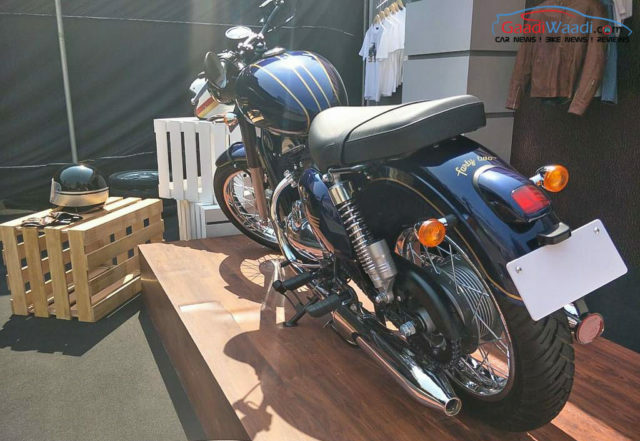 The Forty-two surely has a proper classic look in the form of a circular headlamp, teardrop-shaped fuel tank, a retro designed side panels, and an elongated rear fender with taillamp positioned on it. However, the addition of matte finish paint and offset instrument cluster is what makes things interesting and certainly attractive. For those of you who love twin exhaust systems on a motorcycle will surely fall in love with Jawa Forty-two. This is the only motorcycle in its segment which offers a twin exhaust system. The Jawa Forty-two produces an impressive 27 hp of peak power and 28 Nm of peak torque from its 293 cc engine single cylinder engine. This makes it a much more powerful motorcycle than its closest rival the RE Classic as well as the Thunderbird 350. The motorcycle even weighs 22 Kilograms less than its closest rival which also means that the Fort two will be quicker and faster on the straights. 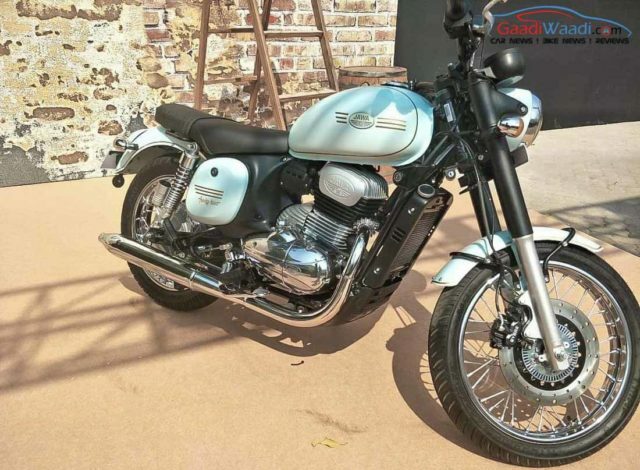 Jawa Forty Two comes with a total of six colour options namely Hally’s Teal, Galactic Green, Starlight Blue, Lumos Lime, Nebula Blue and Comet Red. They are appealing as well as ensure good road presence. Our readers have enjoyed how the Forty Two panned out to be especially considering its price tag and its modern styling has been well received as well. The positive response all around could translate into good sales numbers.